There’s a tradition in my family involving an aluminum replica of a Colonial Williamsburg gingerbread man mold. The one written about here, in fact. Grannie had one, then gave it to my dad when he got married, and we grew up spending December making the dough, then on an as-needed basis, rolling it out, molding it, and getting these giant gingerbread soldier guys. 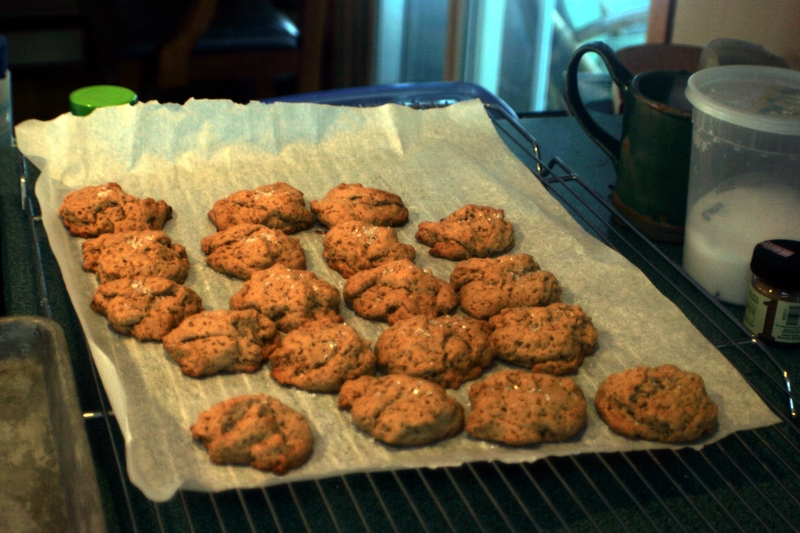 The final cookies were softer than your typical gingersnap-style gingerbread men, and IMO, therefore superior. These are, as far as I am concerned, the correct gingerbread men. When I moved off to college I didn’t get the recipe to bring with me, and attempts to acquire it from family kept turning up the other traditional gingerbread cookie recipe. The one that gets you gingerbread men like everybody else makes. The wrong recipe. It wasn’t until a couple years ago it occurred to me that our mold might not in fact be unique, and that I might be able to find one of my own, or, better yet, the recipe that goes with it. The internet is a beautiful thing, and I did, in fact, find the recipe. Victory! So at the beginning of January, when Christmas was safely passed and I couldn’t possibly be seen to be giving it succor or support, I dug up the recipe and decided to show off what correct gingerbread men are like. That’s pretty simple. You then cream the butter and sugar together, add the spices, cream all of that together until light and fluffy. Next you add your wet ingredients – you can use regular milk instead of evaporated milk of you want and that’s what I did, though I usually plan ahead a bit better and have evaporated milk on hand when I’m going to do this. I also usually make sure I have enough molasses. I did not have enough molasses. I spent a good 60 seconds reflecting on the problems inherent in not having more than a couple tablespoons of molasses. I considered my options, which involved me going to the grocery store, me sweet talking roommates in the process of prepping for three weeks in Southeast Asia to go to the grocery store, chucking the dough out and pretending this never happened, or doing something stupid with an attempted substitution. Reader, I did something stupid. I mean, come on. The bottle had the word molasses right there on the label. It just, you know, had the word “Pomegranate” in front of “molasses.” How wrong could this possibly go? Add flour in half cup increments until you have dough. Chill for two hours. 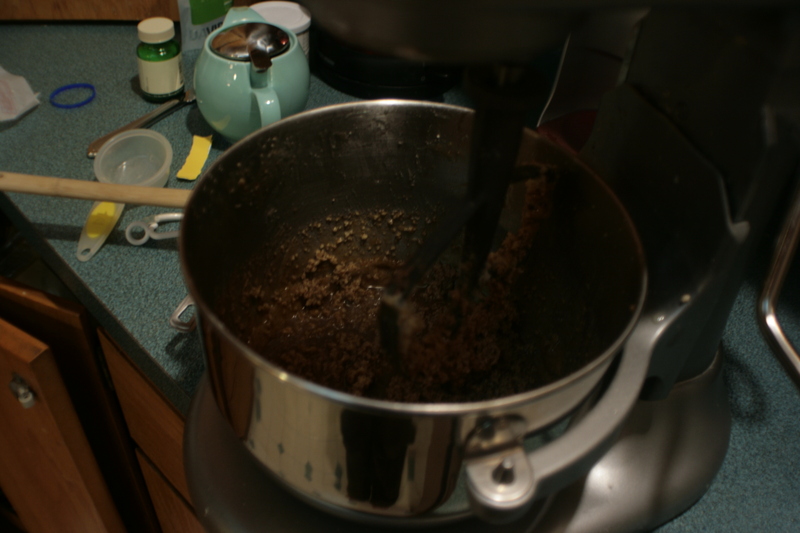 Roll out, commit acts of cookie, bake for 15 minutes at 325º. They looked right. They more or less smelled right. Were they right? They weren’t wrong. They also weren’t gingerbread cookies. After careful examination and study, (read: Sylvie and I ate several), we decided that they were actually pretty good, except the texture was wrong for the flavor. 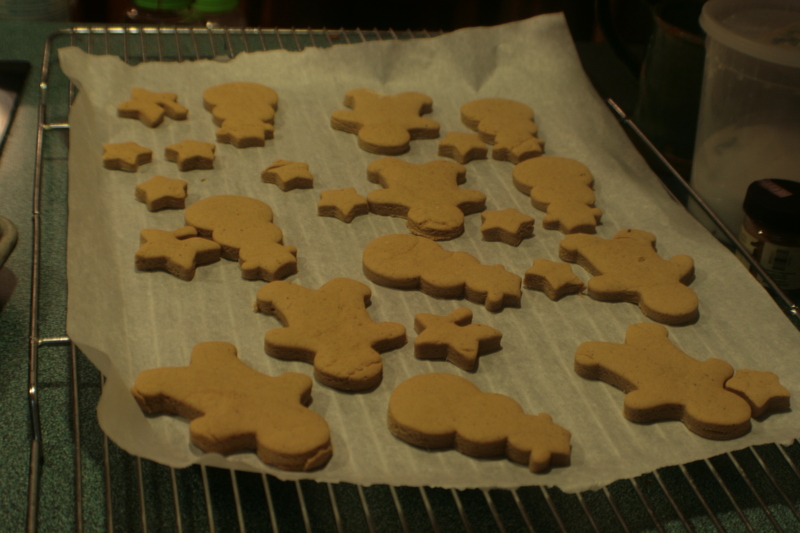 These were the floury, thick, soft cookies I want from gingerbread men, but the flavor wanted to be something else. Possibly thinner and crisper. So I did another batch, except rolled thinner. Those were better, but still not there. So I let the remaining dough warm up, tossed in a stick of butter, and set the mixer to go until I had a softer, runnier dough. Then I dropped huge chunks of it onto a cookie sheet. Bake at 325º for about twenty minutes, then sprinkle with shiny sugar. Success! These were the cookies that dough wanted to be. They were tasty, in a “I’ve never had a cookie with quite this flavor” sort of way. The texture was right. These were good. I would do these again. In fact, I may have a new January cookie tradition. Sometimes, being stupid is the right choice.